Olympia's Superintendent Dr. Andrew Wise was featured in an article from the American Association of School Administrators (AASA) November issue of School Administrator magazine. 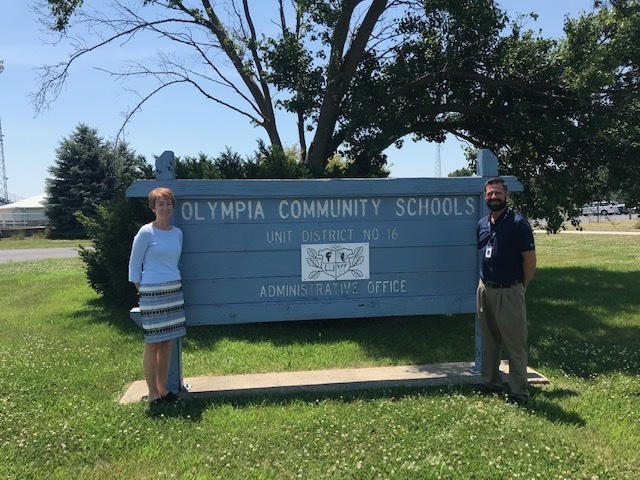 The article features Olympia High School’s partnership with Heartland Community College and refers to this partnership as a “success story”, as Olympia and Heartland partner to provide postsecondary opportunities for all students. The American Association of Community Colleges (AACC) & the AASA asked Dr. Wise and Sarah Diel-Hunt, Vice-President of HCC to present in Washington D.C. last spring. Dr. Wise is one of three Superintendents in the Nation to serve as an AACC College and Career Commissioner.